Meet AquaSoli at SPI in Las Vegas! Through the use of our many professional engineering services, AquaSoli can save your company time, money and help you avoid the pitfalls of project development by adopting an early assessment strategy for your projects. Our services include: • Pre-Development Survey and Assessment • Soil Surveys • Corrosion Evaluation • Foundation Load Testing • Foundation Design • Foundation Risk Assessment Services • Structural Design Analysis • Site Civil Design including Road and Trench planning • Storm Water Management • Land-fill Survey and Assessment • Assessment / Remedial Services for aging solar farms. AquaSoli is proud to have performed over 2000 projects since our inception in 2003, for a total of over 11 Gigawatts of services to date without issue. 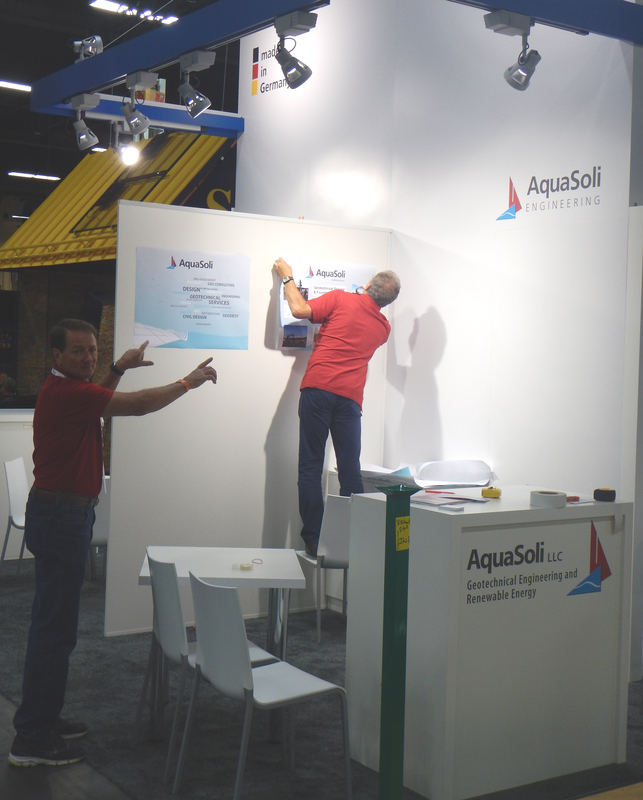 Please stop by our booth number 1957 in the Bavarian Pavilion and see how AquaSoli can partner with you to solve your project challenges.